***NOTE: This story has been updated. Garth Brooks, who’s been making overtures recently about a country music comeback and new releases, will reportedly be releasing a box set called Blame It All On My Roots: Five Decades of Influences through Wal-Mart on November 28th. The initial announcement about the release was made briefly during Garth’s television special also entitled Blame It All On My Roots that aired Saturday night (11-9) on GAC. The box set will include 6 CD’s and two DVD’s, with 10 songs on each disc covering the various influences that went into Garth’s country career. Garth’s final show at Wynn Casino’s Encore Theater in Las Vegas is set to air as a CBS Special on November 28th. Can’t speak to the quality of this but it fits his past releases where he puts out multi disc packages because the MPAA counts each disc for certification. So if he sells 250,000 copies of a four disc package it would be certified as selling one million and this is one way he has padded his record sales as measured by the MPAA. Still sold a boatload of units just not as many as it appears. Duh I’m an idiot meant RIAA not MPAA. Got my Hollywood lobbyist groups mixed up. There sure seems to be a lot of tribute projects out there these days full of cover tunes. I like them, but I would love to hear some original music. I wouldn’t rule out the possibility of original music from Garth Brooks sometime soon just because of this release. To me, this looks like a Christmas release from Garth, without the Christmas-themed music. The timing is perfect, it makes a great gift (har har), and his CBS Special is airing on Black Friday. “The 7’s have aligned” to make sure Garth sells the hell out of these box sets. I still am anticipating a new album on music from him in 2014. I get what you are saying about tribute albums, but if you have seen the show in Vegas then this makes TOTAL sense. It lines up with what he has been doing there perfectly. That show is all about what music influenced him. I think this is a great ending to that part of his life and that project. “I Heard it Through the Grapevine” is Marvin Gaye, not Otis Redding! Nonetheless, this doesn’t sound like the type of thing that would draw much interest from today’s country audience, though it may be of interest to his middle-aged and up fans. This isn’t for the country audience, this is for the Christmas audience. he probably is covering marvin gaye’s version but Gladys knight had a top ten hit with it a couple of years before gaye. This is also a way to raise his profile in advance of the presumed original material to be released next year. If nothing else Garth is a proven master of promotion and this may be a hedge against just reappearing with an album of new material a decade plus since his previous release. A soft landing if you will. I agree. He could be trying to re-integrate his name back into the marketplace, prove that he still has commercial viability to financial backers and promoters, etc. etc. Whatever the truth is, this feels like just one piece in a bigger puzzle. The thing is, Garth Brooks doesn’t need ‘financial backers’ and he still seems like a man who will not be releasing his music digitally any time soon, too. The man will release new music on his own label and on his own terms and one of the Nashville labels will be glad to partner with him to promote the new stuff (don’t expect Big Machine to do it this time around, they have enough of their own stars/artists to promote). Hell, he could hire his own staff and start his own label if he so desired to do that in order to market his, Trisha and whatever friends he wants to radio/retail. I’m excited for this, as I’ve heard snippets of the Vegas shows and this man can sing anything. I know he’s writing and recording so I’d bet on a new release next year. Vegas show was AMAZING!!! We were reluctant to spend that kind of money and a summer day in Vegas, but we are so glass we did. And you are right…all other issues aside, the man can sing. Any thought that the Vegas shows were successes, and the fact Garth maybe hasn’t pulled together a full team to do an all original record, and his itch to get back in the game…this is what they put together. Who cares if it is covers, it is what he has been doing in Vegas…so, it’s not something he just came up with, and it isn’t (thank goodness) a bunch of pop country and duets with Taylor, Carrie, Aldean, etc…. This is pure Garth. This is his style. I’m looking forward to this and also what a great way to bring back to life some very very good songs! Is there a money aspect to this…sure, but it isn’t from Garth. If there is any “master marketer” going on here, it is simply because Garth wants fans to enjoy what he puts out. The guy has plenty of money. Of course the retailers are watching their bottomline. 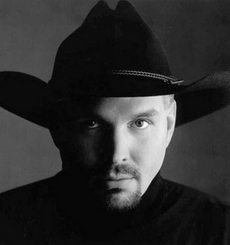 Garth will have an album of the year and be male vocalist of the year by 2015. Bye bye pop tarts and fake outlaws. Well from what I’ve been hearing in the special: the fact that he added “Great Balls of Fire” and “Midnight Train to Georgia”. Garth I love you and grew up with you but those songs were shoved down my throat by my own parents to the point of me hating them and I’m sorry to say I’m gonna skip those songs. Unless Garth would take back what he claimed to be influenced by Conway Twitty, Merle Haggard, George Jones, James Taylor, Billy Idol and release a new statement that during his retirement he was soaking himself to the music of T-Pain, Eminem, Miley Cyrus, and OneDirection, I don’t think modern audiences will be interested. Or he could rap and sing about tailgates and dirt roads. God forbid! But looking at Garth I do believe he cared more about music (his two transgression was he don’t only care about country exclusively and he found ways to market himself to a mass audience without losing much of the country touch, unlike his contemporaries like Shania Twain and Restless Heart). I could be wrong though but i think Garth is one of the truest and honest mainstream country artist out there. Atleast he didn’t pretend he’s a hick or an outlaw or a shiny pop star. He didn’t even hide the fact that he’s a college graduate and he’s always open about his influences, whether it’s classic country, classic rock, or classic soul.